Arkells have one-upped themselves again in the lead-up to Rally Cry. After debuting a new tune live at karaoke, the Hamilton band have shared another new track through an actual hotline. 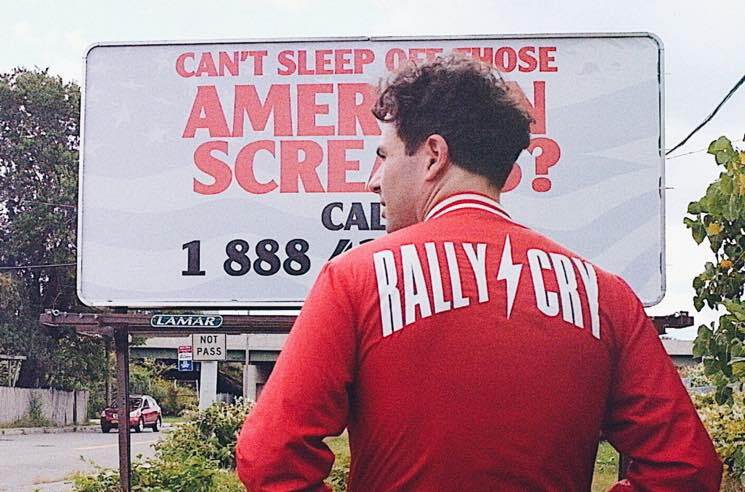 The group teased the location of a billboard in Buffalo, sporting the phrase "Can't Sleep off those American screams?" and a toll free phone number. Fans have been flooding the phone lines for 24 hours straight at this point, but if you manage to get through, you'll get to hear Rally Cry cut "American Screams." The band have further teased the track, unveiling the lyrics to the song and the political meaning behind them via Twitter. And trust my eyes aren't playing tricks on me. You wanna do God's work? To give it a listen, just pick up a phone and dial 1-888-426-8856. Rally Cry is out October 19 Universal Music Canada.